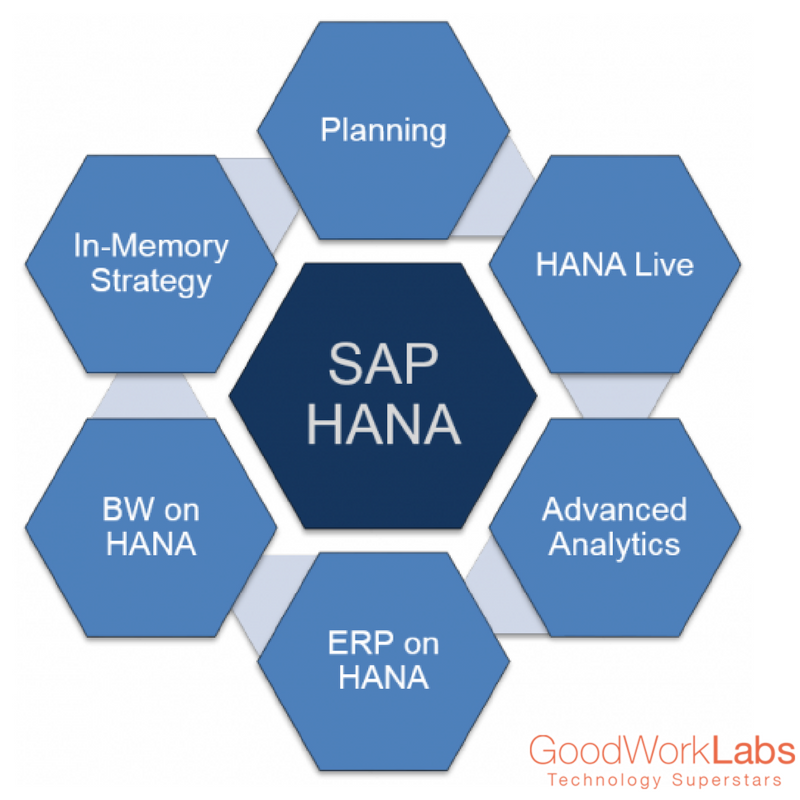 GoodWorkLabs has the proven expertise of building products in technologies such as SAP HANA. 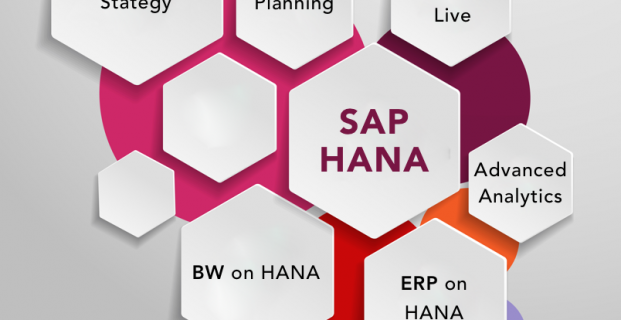 SAP HANA is a real-time enterprise resource management suite for digital business. It is built on an advanced in-memory platform. SAP HANA offers a personalized, consumer-grade user experience. Deployable in the cloud or on premise, SAP HANA can drive instant value across all lines of business. The IT community recognizes HANA’s potential as a driver for reducing the TCO based on the savings from reduced databases, the speed, simplifications, and consolidation opportunities. The agility of SAP HANA lets organizations achieve more with data. For instance, a team dealing with finance could run real-time jobs in batches without it having to wait for the jobs to complete. The capability to run jobs in real time allows users to run them several times in case there is a need to refine the results. 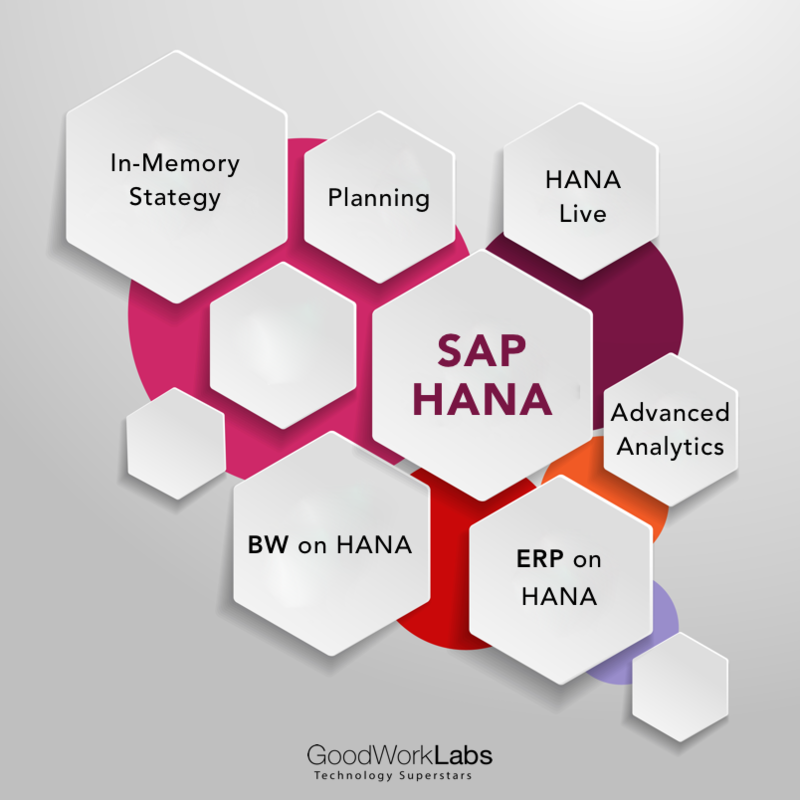 Why chose GoodWorkLabs for SAP HANA software? Our customer engagement and technology solutions have been utilized by some of the most reputed B2B and consumer brands in the world. We serve businesses of varied types including retail, consumer products, wholesale manufacturing , telecom industry, financial services, insurance, public sector, travel, media, publishing, software and automotive to name a few. Every industry is constantly trying to upgrade themselves and we help big players across all sectors in doing so with our technological prowess. With our technological prowess and the capabilities of SAP HANA, you can expect world class solutions for your existing business models. HANA offers real-time insights on Big Data such as smart meter data, point-of-sale data, social media data, and more. It involves complexities such as personalized insight and recommendations, text search and mining, and predictive analytics. Only SAP HANA is well suited for Smart Meter Analytics, SAP Supplier InfoNet, SAP precision retailing, and Geo-spatial Visualization apps. GoodWorkLabs understands businesses and their need for implementing SAP HANA. We can help you get your business to the next level. Contact us today for worthy SAP HANA solutions.